The Bay in a Day. I heard of this bike ride when a friend of a friend mentioned it to me one day in April. Of course, it practically being in my front porch, I had to do it—never mind that the front porch would soon be going to the home buyer in short order. So in the intervening seven weeks between my last major ride—the Sierra Century 200k—and this one, I had a chance to ride my bike only two times in between packing and moving. (Also, the first four of these weeks I was tapering for the Foot Traffic Flat Marathon.) Never mind that the second of these rides was just 11 miles—I am still counting it. Fortunately, my friend AJ agreed to ride the Bay in a Day with me—it would be his first double century, but given the way he was riding in the Sierra Century and the high-quality training he was doing in the meantime, I knew it would not be a problem for him. We could offer each other moral support. With my woeful lack of training, I figured I was going to need it. “At least there isn’t going to be much climbing,” I said (hoped). Since I had moved completely out of my house on Thursday, I was staying at AJ’s place Friday night. At 3:30 a.m., our alarms were buzzing and by 4:00 a.m. we were driving up in AJ’s Subaru WRX, taking an hour to get to Novato and actually riding our bikes by 5:20 a.m.
“I definitely could have used more sleep,” noted AJ somewhere along here, who had quite an eventful week. We started out in cool-but-not-uncomfortable temperatures, wending our way through Novato, and very soon onto Highway 37. I had been warned about this highway in advance. 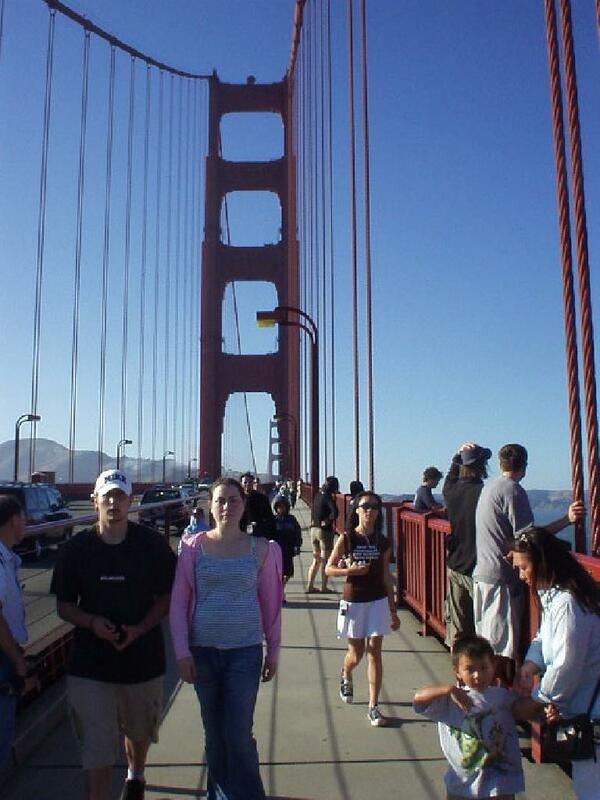 Notably, there was no shoulder on the Petaluma Bridge. Fortunately, this being so early in the morning, there was little traffic to combat. Nevertheless, after six or seven miles of this, I went to the front, got in the aerobars, and set a fairly brisk pace in the low 20 MPH range. 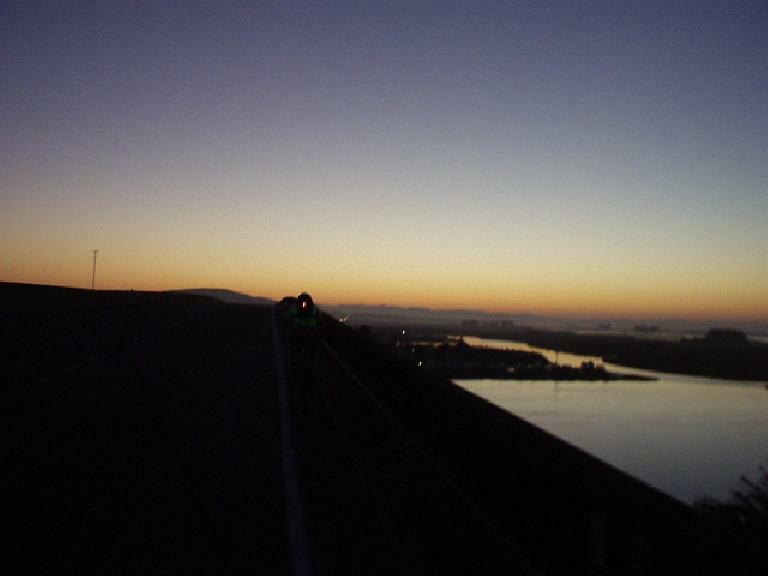 In short order, as a rising sun hovered over the San Pablo Bay, we already were across the Carquinez Bridge and into the small town of Crockett. It was an over-exuberant start, but this kind of underscored how much I wanted to be off of that darn highway. If that was the end of the highway, it was not the end of some bumps in the road. “Left turn, rough road,” warned one of the volunteers as we headed onto Wilson Rd. “Joe?” I shouted out. It turned out to be Joseph Shami, but he did not hear me. We continued on through Rodeo, then Hercules, getting to within 1 mile of my dear friend, super-triathlete Lisa Z. “Darn, too bad it’s 6:50 a.m. and she’s most likely sleeping,” I noted. I’d send her a text message at the next rest stop just to let her know I was thinking of her. Unfortunately that only happened after we overshot a turn by over two miles, which made us add on four miles right here when we had to backtrack. And doubly unfortunate was that several other cyclists had missed that turn. The route needed to be better marked or we needed to be paying closer attention to our route sheets. This is so that one does not have to drag his eyes all the way across the page (all while trying to navigate through traffic), and so that it is feasible to keep the route sheet folded in half (like almost everyone does) to mount it onto his handlebars or keep in his jersey pocket. 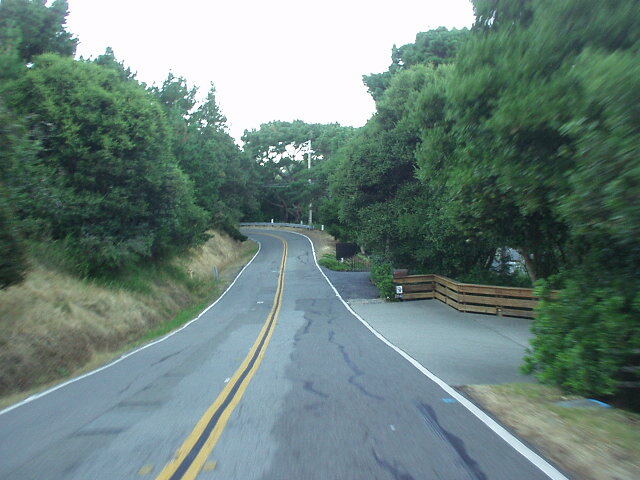 Anyhow, continuing on the course, we had to get on yet another highway (this time, CA-24), up a grade to Fish Ranch Rd. 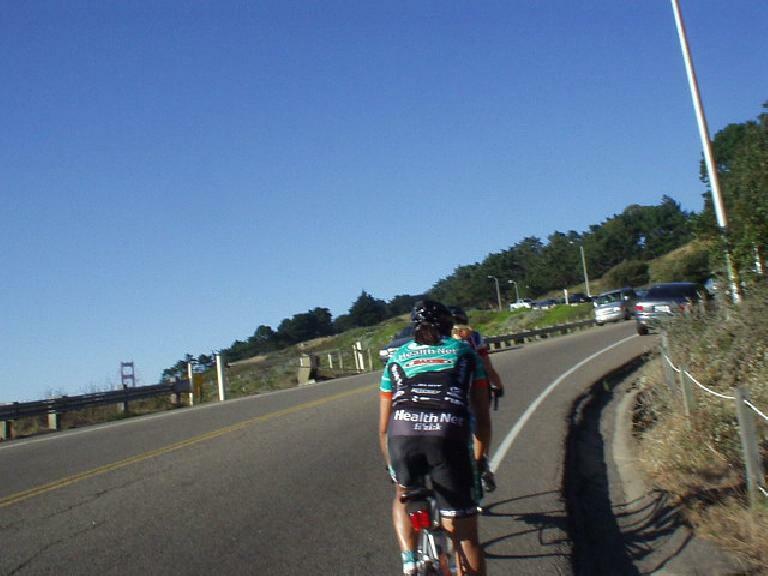 Once again, I unconsciously picked up the pace which later AJ described as “was just too fast.” Fish Ranch Rd. is not a trivial climb. The rest stop was at the Sibley picnic area at Mile 52 (if you don’t include our extra miles). Still 156 to go. At Sibley we also saw Joseph Maurer, who has had, by his own admission, “a great year.” He had just done the Climb to Kaiser and the Eastern Sierra Century, along with other doubles in the year. Way to go, Joseph. 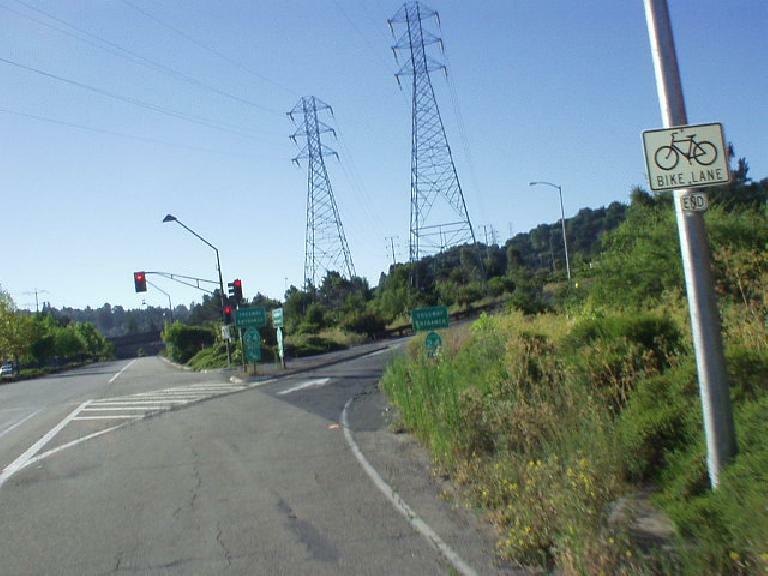 Through north Oakland and riding by the Anthony Chabot Regional Park were some rolling hills until we got to Castro Valley. Here there was a rest stop at the Eden Medical Center. In the parking lot was a map showing a bird’s eye view of all of the roads we would be riding. It was truly around the bay, for 208 miles. “This is truly nuts,” exclaimed a cyclist as she realized just exactly what we had signed up to do. 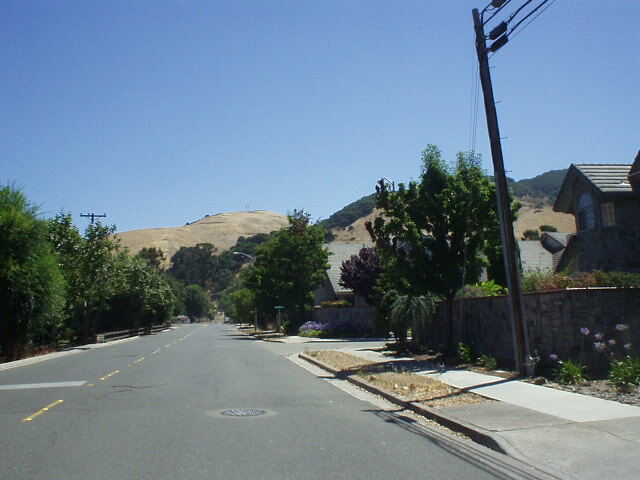 From Castro Valley was a 10-mile slog along Mission Blvd., a very high-traffic street. The good thing was at least we were able to keep up with traffic for a good portion of it, since there really was little passing room. It didn’t seem to phase AJ at all, regardless. 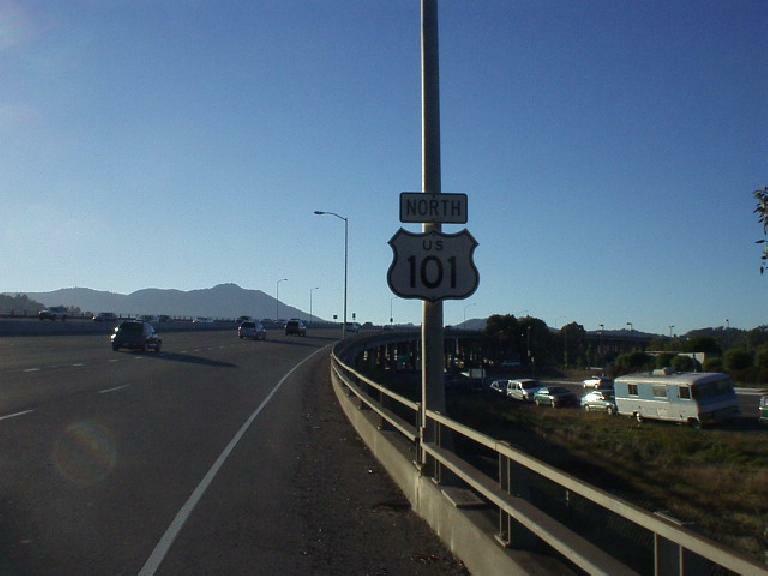 “I ride through this every day,” he noted about his daily commute to Stanford. 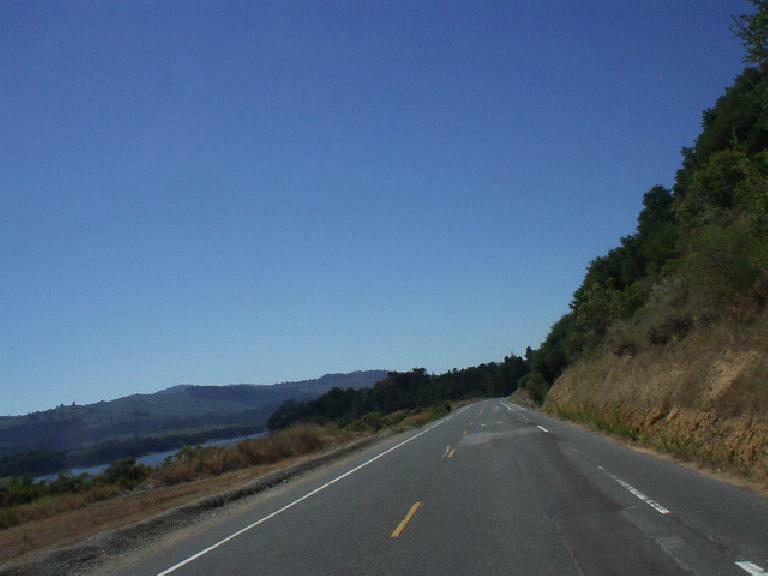 Over in Fremont, I pointed out some of the great roads (e.g., Morrison Canyon, Mill Creek Rd.) I’d used to do hill repeats on, just a few miles away from home. 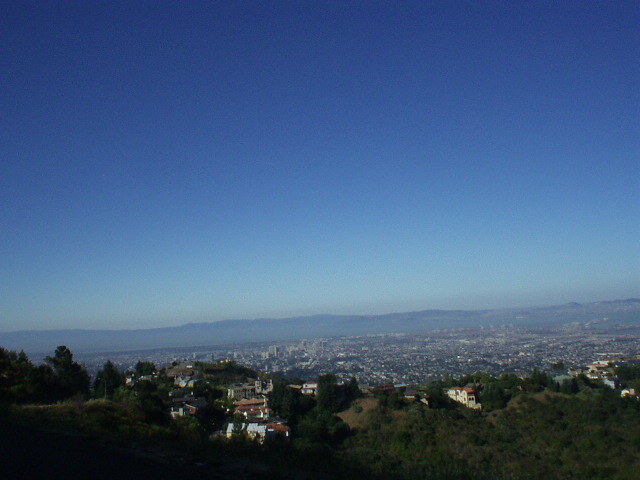 Towering above us all was Mission Peak, a natural icon of Fremont. Over in Warm Springs in Fremont, the temperatures were soaring—92 degrees at the rest stop per my handlebar-mounted thermometer. I sent another text message to my friend Lisa. “100 miles down 110 to go feel good but very warm” I typed. Yet I was buoyed it was only 12:30 or so by this time. 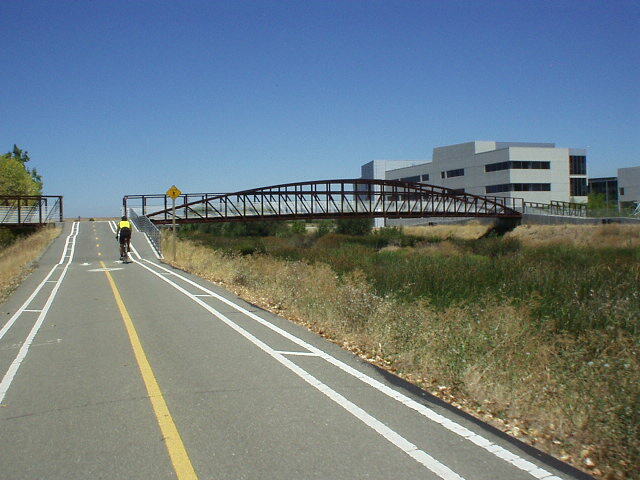 Through Milpitas, we traveled across completely unshaded roads, through business parks, onto a bike path, and into Mountain View. The temperatures continued to creep up and I could see in my helmet-mirror that behind me, AJ was struggling. This was the very first time in my life I had ever seen him begin to lag, so I slowed up the pace, letting the other cyclists carry on ahead into the distance. After another 15-20 minutes, AJ confirmed that he was having a tough time. “It’s weird, physically, my legs are fine, but it’s like a core feeling of tiredness,” he explained. “And I’m still light-headed.” I continued to plead with him to carry on, saying how there had been half a dozen other rides where I felt like crap even before the halfway mark of the ride, only for it to pass and feel better by the end, and that in a few hours we should be in San Francisco where the temperatures should be much cooler. AJ was resolute, however, saying “I could probably go on for another 20 miles, but 100 miles, no.” He then handed me the keys to his Subaru WRX. I appreciated his decisiveness but sad that today would not be the day he would complete his first double. “Rest up and feel better soon,” I said, as we parted ways, he heading home and myself going to the Gunn High School rest stop in Palo Alto. It turned out AJ was not the only casualty of the day. 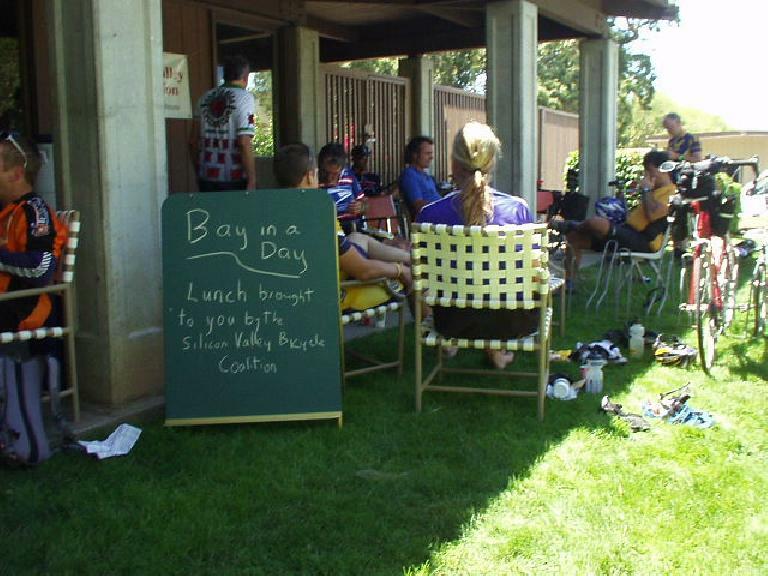 As I rolled in to the rest stop, many limp cyclists were strewn out on the lawn in the shade, content to refuel their bodies and in no rush to gut it out in temperatures that, by now, were over 100 degrees. And behind me, I heard a familiar voice. It was Joseph Maurer. “I quit, I give up,” he said to me. As he was smiling, I thought surely he was joking. But then he proceeded over to one of the rest stop hostesses and said the same thing. Then, turning to me, he said, “You’re young, you can carry on. Me, I’ve been very lucky this year, with great weather until today. But I just can’t take the heat.” Now I was truly shocked to witness both AJ and Joseph—both very strong cyclists—ending their rides just 15 minutes of each other. In contrast, I was still feeling very good. This would quickly change, however, in this leg from Palo Alto to Millbrae. 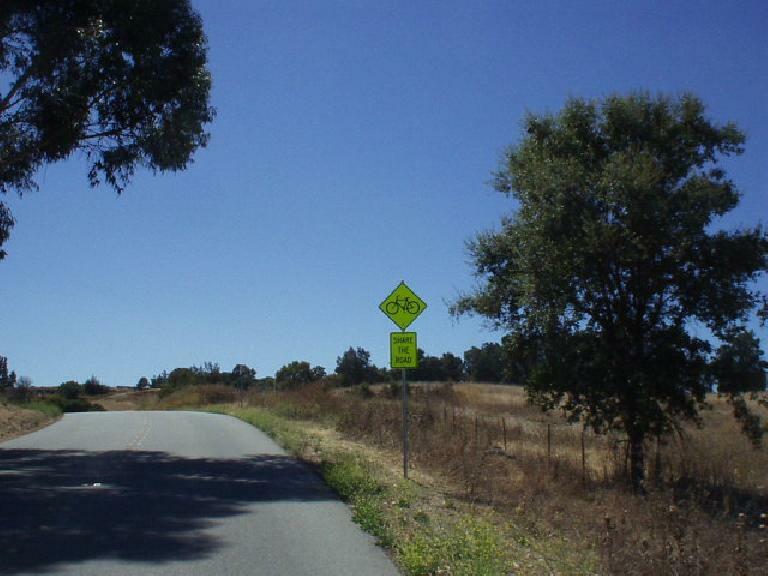 First, there was Arastradero Rd. Arastradero is almost completely unshaded. There is a good reason that the hillsides are almost barren with nothing but dead yellow weeds—it is very, very hot. Today it was 105 degrees per my thermometer. In addition, there was some climbing. Now, I knew from riding them often during my Stanford years that the climbs are not long, but yet, with the temperatures and doing them with 120 miles in one’s legs, may the suffering begin. Then there was Portola Valley, and then Mountain Home Rd. into Woodside. In contrast these have a little bit of shade. They do tack on more feet of climbing, however. Then there is Cañada Rd. 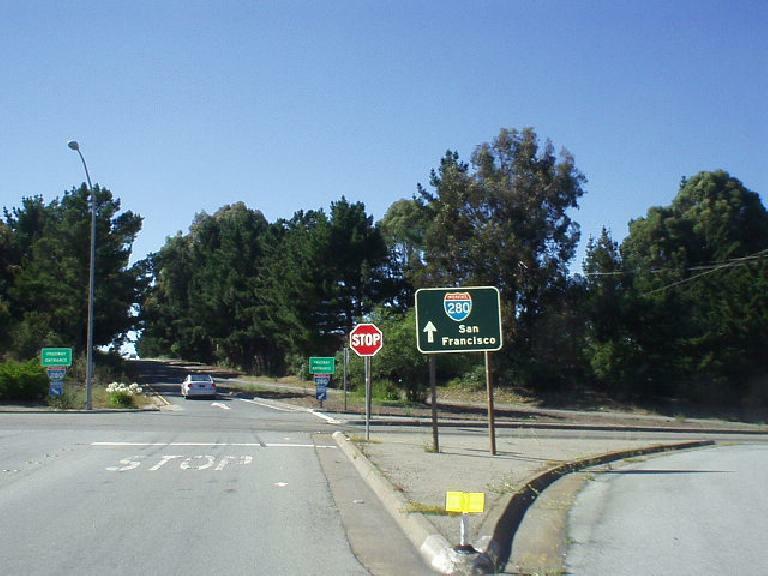 by the Crystal Springs Reservoir. It is completely unshaded like Arastradero, but at least closer to CA-92, the reservoir provides a few degrees of a cooling effect (so now the temperatures were only about 98F). But then came Skyline Blvd. after CA-92. I had forgotten what a long, unshaded climb this was. Through Hillsborough and into Millbrae, there was yet more climbing. Right before the rest stop was a steep hill—not long, but by this time, I was about dead. Somewhere along here, I passed by another cyclist who was sitting along the road with his wheel in his hands. “Are you okay?” I yelled out, while chewing on some melted-chocolate covered “energy” bar I had grabbed at a previous rest stop. “Do you have a spare tube?” was the reply. Still chewing on the near-inedible “energy” bar I nodded, and after I asked him if he was going to be all right he replied positively and thanked me. “No problem,” I replied. “No problem,” I repeated—twice—but he still had a blank look on his face. I felt like the contestant in the “Got Milk?” commercials who knew the correct answer, but couldn’t audibly reply due to having too much peanut butter in his mouth. At the rest stop I munched on some peanut-butter sandwiches and drank about 4 cups of Cytomax. Nasty stuff. Here I met another rider named Greg Wong, who had ridden his first double (the Terrible Two, no less) earlier this year. He reads this website. Hi, Ed. Feeling a bit better, I proceeded on a fairly brisk pace up Skyline again, this time, towards Pacifica. The light-headedness was still somewhat there and by the time we got onto I-280 (yes, another highway), I decided to tone it down. 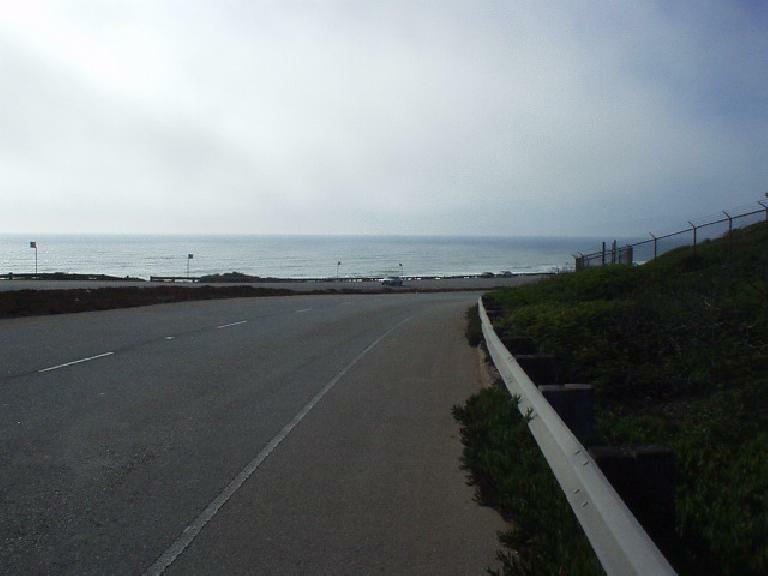 When we got into Pacifica the climate had completely changed. Now I had stopped to do nothing less than… put on arm-warmers. Going from over 100 degrees to 60s with fog and mist-flying towards you was surreal. Riding along the (thankfullly flat) Great Highway in San Francisco, I finally had to take off the arm warmers. After Golden Gate Park I met two other felixwong.com website readers, Alfie and Lisa, who had volunteered for the ride earlier in the day and now were out riding to try to meet up with some friends in the City. They led me up Lincoln Way into the next rest stop. At this rest stop, I had many handfuls of pretzels and a Coke, and finally was starting to feel “normal” again. 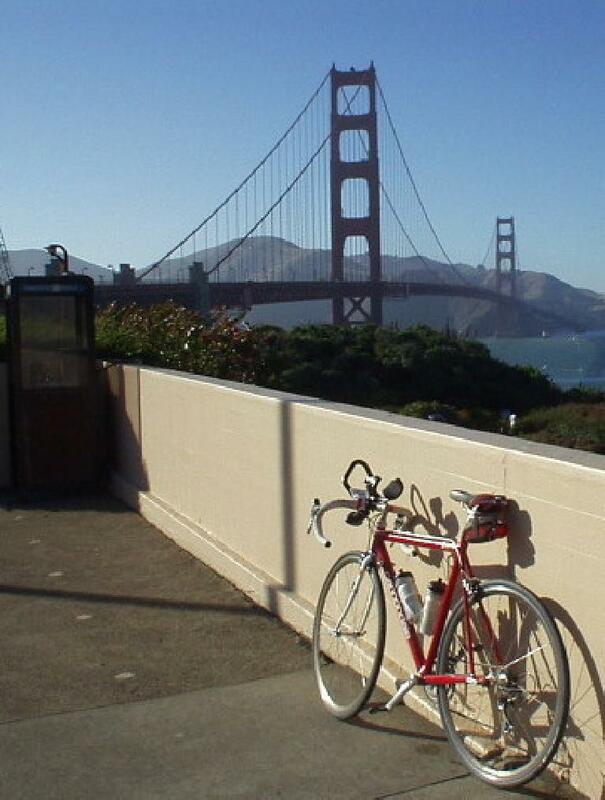 This leg would be my first time ever riding onto the Golden Gate Bridge. 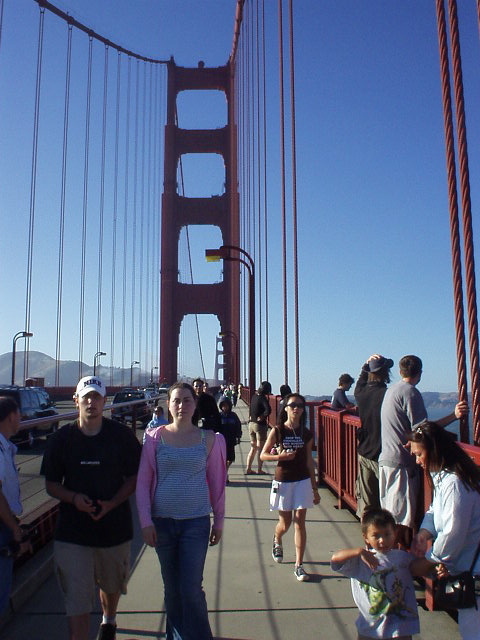 Unfortunately, as the route sheet merely said “turn left onto the Golden Gate Bridge”, I ended up riding on the wrong (east) side of the bridge, resulting in having to navigate through throngs of pedestrians. I lost about 15-20 minutes here. 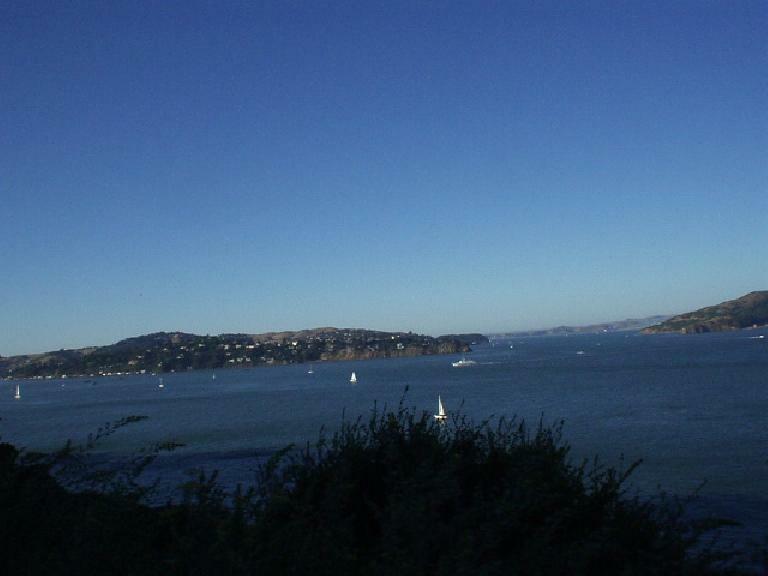 Well, at least the view was better from this side, with Treasure Island and Alcatraz visible. Riding into downtown Sausalito along the harbor and little art shops was nice, and reminded me of how I’d like to return as a tourist here one day. 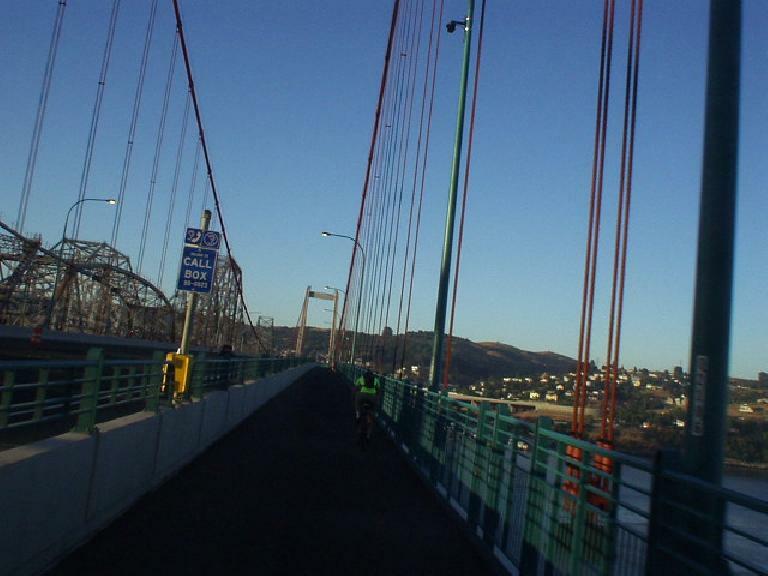 Into Tiburon, the route continued along the shore with the most scenic rest stop coming up, that with a great view of San Francisco. The volunteers here had it made. It also made for the most memorable conversation I had all day. The way her jaw dropped was priceless. We chatted some more, with she observing “Lance Armstrong doesn’t even ride 210 miles in a day.” (“Ah, but he could,” I replied), and she, both amazed and also making it clear that we all were just crazy. With that, my spirits were much better, and I proceeded down one of the most scenic roads of the day: aptly named, Paradise Drive. My form was much improved—back to how I was riding in the morning—and with the roads devoid of cars, and the sweeping turns inspiring speed, I hunkered down and got into a rhythm. The goal was to do as many miles as I could before having to turn on lights. Alas, I’d have to turn them on before getting to the next, and final, rest stop. As it got dark, my speed slowed considerably (as it was inevitably harder to navigate), with the only eventful thing was looking for a bike path at Mile 199. Good thing I was paying attention to the route sheet, or I would have totally missed it, as it was not well marked. Other cyclists had problems here too, and one of them had a good suggestion—to put glow sticks here, so that it was easier to find. On that note, another cyclist mentioned that he thought that “this ride was harder than the Death Ride” (which he had done seven times) but “climbing Mt. Whitney in one day [on foot] was more difficult.” While I agree with the latter, I disagree with the former, though I can see how the heat made all of the difference in this one. Otherwise, the course is significantly easier, just longer. Summing up ratings of the ride, from an organizational standpoint it was a good first effort, though there are several areas that can be improved. The route sheet, as described above, is one. 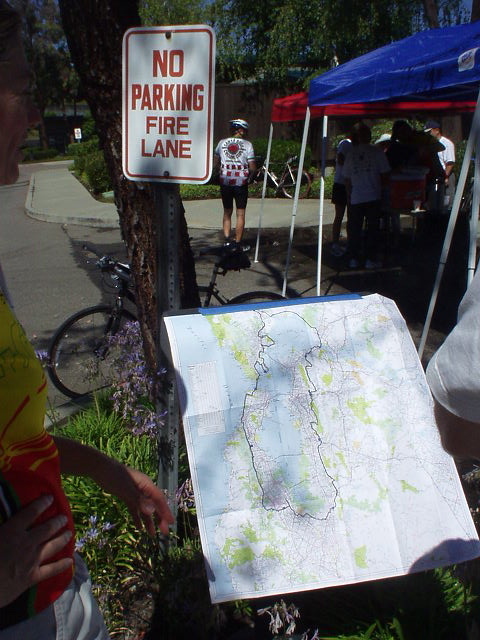 Rest stops were placed at pretty good intervals but the legs after the Palo Alto rest stop could have benefited from intermediary water stops. Food selection was okay but I would have much preferred bagged peanut-butter-and-jelly sandwiches (one had to make their own at most stops, and sandwich bags were not available) as opposed to the abundant Luna bars (which are, per their marketing, “Designed for women”) or other sugary energy bars. Then there were nit-picky issues like the rider numbers given to us at the start (and written on our wristbands) did not match those of the check-in sheets at all. Finally, taking the route away from congested/bad roads would be nice, though I understand this may be hard to do as the ride was already 8 miles longer than 200 miles, and presumably was already close to the shortest distance possible to circumnavigate the Bay. The day after the Bay in a Day Double, Lance Armstrong cemented his place in history by winning an unprecedented seven consecutive Tour de Frances and promptly retiring afterwards. It was a fitting end to a storybook era of cycling, the Lance Armstrong era. 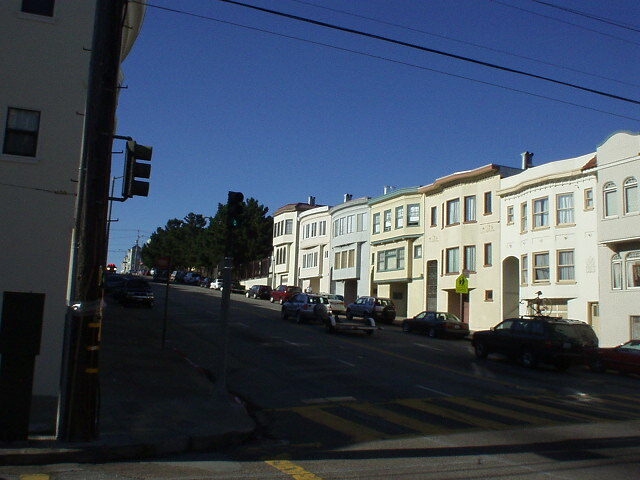 Likewise, the Bay in a Day Double was an appropriate end to an era of my own, that in which I had lived for more than 7 years in the All-America City of Fremont, and almost 12 years in the Bay Area. I had first come to the bay for undergraduate study at Stanford, and fittingly, riding with me over half of the way was the friend who was my lab partner two times at the university. Like the double century, things had gone full circle. Finally, the double century was a tour down memory lane. The ride flashed by practically every single place I had lived, or close friends had lived, and traced over many of the same roads I had trained on at one time. Like the era now passed, the route was not without its travails and tests of human courage and perseverance. Yet, these bumps in the road only gave perspective to the many illuminating points along the way. Overall, the ride was a good one. And now, full aero-tuck forward to the next era. thanks for another fine ride report. FWIW, my altimeter recorded an accumulated elevation gain of 5400 ft on the first 114 miles alone, which seems to be in line with “Estimated total elevation gain is 8,000 feet” from http://www.bayareabikes.org/DC2005.htm. But, no matter what: best wishes for the “next era”! Joseph, I think you are right; the elevation gain sure felt more like 8,000 feet. I got the 5,000 feet from an email sent out by the organizers a few days before the ride, but will revise the elevation gain in the Ride Data to 8,000. Thanks! 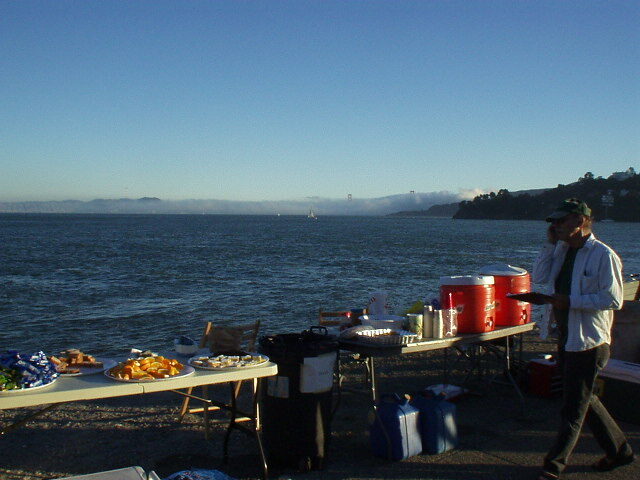 After I completed the Bay Area Double, I said to myself “That was challenging, interesting, and a lot of fun. I would do it again in a minute.” The ride was well organized, staffed with helpful and friendly volunteers, and it provided the riders with ample food and drink — in quantity, quality, and variety. IMO, the organizers provided all the necessary rider support – and then some. This ride must have required incredible advance planning and a huge coordination effort among the various bike clubs and governmental organizations. I think it was very well done, despite being a first time effort. Yes, the route sheet was on multiple pages, but I took no issue with it. It was very detailed – and it had to be. Yes, it was printed clear across the page – but the larger print made it easier to read. It was simple enough to fold the thing in such a way to read and ride at the same time – then tuck it back into a jersey pocket. (I had printed the route sheet at home, so I knew what to do with it.) Out of the many turns we made during the journey, I made one wrong one – and it was my mistake – not an error on the route sheet that caused it. Upon arrival at Rest Stop#7, a volunteer described to me in great detail how to get on the west side (cycle side) of the Golden Gate Bridge; in addition she handed me a detailed map showing same. It was a good thing – because it’s quite an ordeal if one has never done it before. The stack of maps was prominently displayed on the first table you came to upon arrival. I studied the route ahead of time – trying to develop a clear understanding of what traffic issues we might encounter. I knew that we would be riding in urban areas – for the most part – so did not have false expectations of beautiful scenery all along the route. 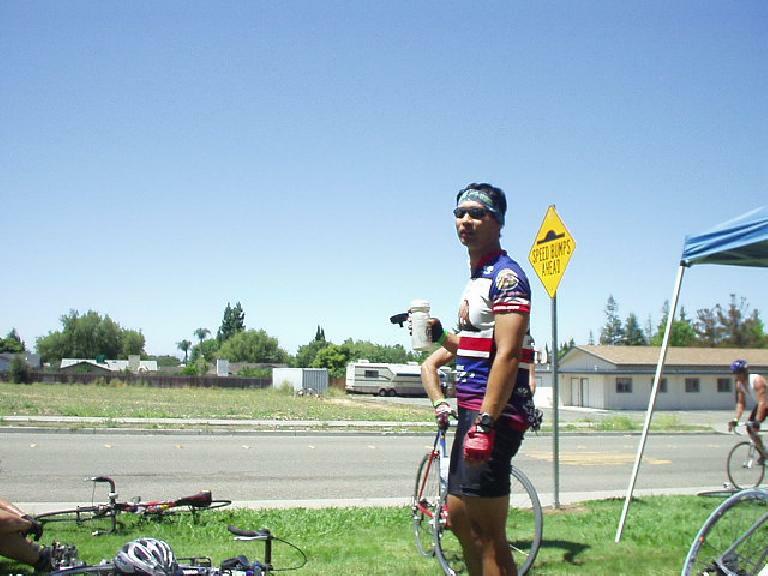 This was my first double, so I also made a special effort complete many long training rides in the hills – and in the heat – to make sure I was physically ready. I prepared for the ride. In my judgment, the organizers provided everything needed to ensure a successful and satisfying ride, assuming the rider was sufficiently prepared. I look forward to doing it again next year (or sooner).